You are here: Home / Social Media with Adaire / How to define your customer avatar. Why you should. There are, as of the time of writing this, 2 Billion people logging onto Facebook on a monthly basis. That’s more people than walked the earth 100 years ago. I used to run workshops for non profits where I would say if Facebook were a country, it would be the third largest country in the world, behind India and China. In a few short years, it’s caught up and surpassed that now. Less than 1% of entrepreneurs actually look at their avatar in any great depth. No course that I have ever attended has done this either, with the only exception being the current Facebook Ads Blueprint course I’m doing, as hosted by Kim Garst from Boom! Social. Almost everyone will say that their product/service is great for everyone. Yes, you can see that everyone would need what you have, but how does that work in terms of crafting your marketing message? The message you craft is going to be completely different for females in their 20’s to males in their 50’s regardless of what you are offering. We need to slow down and identify exactly who we want to work with, or who we want to access our services or products and get ourselves lazer targeted and crystal clear about who you are looking for. Hint: it is actually lazy to just say everyone and not put effort into working out exactly who you are targeting (especially if you KNOW better). You may have the best product/service in the world, but if your message is not targeted, you may as well be working as a checkout chick or delivering pizzas to pay your bills. If you say you don’t have time to stop and develop your alter-ego or avatar, I suggest you re-frame that statement to a question, and that question is; ‘Taking the time to stop, think about and develop my avatar is not important to me because…….’ Fill in the blank and be honest with yourself. Personally, I found this statement quite challenging when I first heard it. Imagine saying to your kids, ‘no, what you are asking (spending time, going somewhere, doing something) is not important to me because…..’, when we say our kids are the most important people in our lives. If your biz is your ‘child’ and you are willing to do whatever you need to do feed and nurture that child, you would go to the ends of the earth to make sure you did what you had to so that child didn’t die. Developing your alter-ego/avatar is one of the absolute must-do’s as part of building a sustainable and solid foundation for your biz. My alter-ego is a previous version of myself. Similar pains and desires and dreams. What was my pain points that led me to my product/service that has led me to who I am and where I am today? Your ideal customer or client does not have to be a previous person of you, it can be someone different. To get into their head space, you may consider interviewing someone who fits the bill of who you want to work with. Find out what their pain points are, what their interests are, how they best interact, what sort of words to they use to express themselves, as it is likely to be quite different from how you would express yourself. With both your alter-ego and avatar, there are several ways we can nut it out to a ridiculous level to get that clear picture of who we are aiming at. I have used Census data to research my assumptions about specific demographics of my alter-ego and you can listen. By listening, I mean you can look at the sorts of things people are putting on social media platforms, what words do they use to describe their posts, what images or videos do they use? This is a gold-mine of information for building that person from the ground up, and you will build your own alter-ego/avatar on rock solid data that takes the guess work out of it! Case study: at a workshop recently, I was working with a person who is an educator on budgeting. Her avatar was not a previous version of herself. We spent over an hour building her avatar (and you can have more than one, although I’d suggest you limit it to only two or three. Choose just one if you’re starting out, get the hang of ‘talking’ with them first and then create your next one if you have to). We discussed the pros and cons of building an avatar for a person with an income of over $100 000 who is in debt up to their eyeballs, and would benefit from her service as much as a young, single Mum from the wrong side of the tracks who dreams of a better life as she ekes out a life of barely surviving for herself and her twins on welfare. Do you think the same message would resonate with both people? Do you think you would find them both in the same place on Facebook? Me neither. Consider this, this person puts out the message that they can help you save for that overseas holiday you’ve always wanted. The young Mum doesn’t even register that there is an ‘overseas’ for her, as she’s struggling to pay the bills. The middle class family usually put their holidays on their credit card and pay it off over the next year…who is going to hear that message? My point is, unless you really dig deep and understand your avatars habits, and deepest thoughts, wishes and desires, you are most likely going to miss the mark and wonder why you can’t get clients on Facebook. You must learn to speak to ONE person and do it in specific terms. As it is impossible to be a lot of things to a lot of people, learning to speak to that one person many times will help you to dominate that niche’. If you’ve ever heard of the book ‘Men are from Mars, Women are from Venus’, by Dr John Gray, you will have an understanding that men and women think differently. Your marketing message needs to be crafted to target the gender you are aiming to reach. It doesn’t mean you will never work with anyone outside of your target market, quite the contrary, you will find that you will attract a variety of people, this is a starting point to help you get focused on your message. It doesn’t matter if your product or service is suitable for both women and men, what matters is that you have narrowed YOUR preference down to one. Knowing the occupation of your avatar is important. Can you imagine the difference in your communication between a lawyer and a bricklayer. The way you craft your messages, present your information and where you look for them are going to be completely different. It would be rare to find them both sitting at the same table, or in the same groups or visiting the same pages on Facebook. Understanding and identifying if your avatar has kids or Grandies helps to further deepen your insights into where your avatar might go on Facebook. You may find the parents of young children in groups for parenting, on parenting pages and other child-specific groups. One of my beautiful daughters has just presented me with my fourth Grandchild (welcome to the world, Nate Kelly!) She is a member of the Facebook Group, Breastfeeding Mums in Australia. That group is 28 000 members strong! She is engaged and interacting in the group. There are many, many other young Mums in the group too. If your avatar is a Mum with babies, you may want to drill down and decide if your avatar is breast-feeding or choosing to bottle feed, as an example as this will tell you more about that person than just deciding you want to work with women with young families. As people move through different stages and phases in their lives, they can surround themselves and immerse themselves in different activities and people. For example, with over one third of marriages ending in divorce, there are constantly people coming onto the dating scene again after often decades of being in a relationship. If your avatar is a divorcee, groups and pages that are around dating or meeting people would be a great place to start looking for your avatar. If your avatar is one, or both of a partnered couple (as it may be for couples therapists), you wouldn’t be looking at dating or meeting groups for your avatar. Students hang out in different places yet again. Groups for Universities may be difficult to get into as many are closed groups and they can be for students only. The pages, however, are open and public. Universities with good social media managers would use the pages to interact with students to show potential students how open and engaging they are, encouraging more students to be drawn towards them. Many reading this will be in the helping and alternative therapy professions (because that’s MY avatar/alter ego). People seek us out because they are in some kind of mental or emotional pain. Statistics show that 1 in 3 females suffer abuse, diagnosis of depression is on the rise and Post Traumatic Stress Disorder (PTSD) is increasing as well. It is important to determine the type and depth of emotional pain your avatar is in. I know it doesn’t sound nice, but once you have done this, you will have a clearer idea where to find your avatar. For example, you are a hypnotherapist and specialise in hypnosis for gastric banding for those wanting to shed kilos/pounds. People can gain weight to cover distress and abuse. There are support groups on Facebook for every type of issue imaginable, you can zero in on specific ones with lazer focus once you have identified what they are. Thinking about the medical history of your avatar, you may understand that the ideal person for you to be focusing your message on is diabetic, especially if you are a nutritionist or homeopath. People with chronic illnesses tend to hold onto more stress in their lives and most say they are keen to get past it. Unknowingly many are committed to staying in the illness or disease as it becomes, over time, the very definition of who they are. 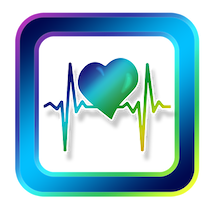 If you are a healer, understanding this about your avatar and what their disease or diseases are, you are better able to focus on where you might find your person on Facebook. Studies show that income has a direct correlation to quality of life and health. Knowing your avatars income, and you can be specific to the last dollar, is essential to understanding more about how they live their lives. For example, going back to the case study. We were discussing potential avatars as we were going through the process of discovering who this person was. At first the income range was anywhere between $40 – 150K as her target market was very broad. As we narrowed it down, we discussed the difference between the single mother on support benefits who worked part-time and the financially over-committed professional who had the desire to ‘keep up with the Joneses’. This person suggested there would not be a lot of difference in the actual disposable income of either group. We looked at where they might holiday and came up with two very different scenarios, the single mother with two children may go camping or to a caravan park, while in her estimation, the professional would likely travel to a resort in a tropical destination or go on a snow holiday in Japan. This is just one example of how being specific with income can help you narrow your focus to help truly identify your avatar with great depth. Linked with income, identifying your avatars assets and net worth will help greatly when understanding exactly who they are. Working with a mortgage broker who was very specific in who she wanted to target, after some discussion. She decided she wanted to work with professionals who already had assets and a net worth of a certain amount and were ready to invest in creating more assets through property. In this instance, she had created adverts already and when we identified her avatars assets and net worth, she realised her message was targeted at young couples who were saving for their first home and completely missed the mark of speaking the language her avatar would have used, including what their pain points are. Education generally defines mindset and thinking, which can attribute much to lifestyle and career. Did your avatar go to Uni, were they a school drop out? How about vocational education? If your avatar is a tradie, you will know they would have done an apprenticeship. You will know they are most likely to be male and you will know they are most likely to hang out on pages and groups that are perhaps more ‘fun-driven’, like the popular pages, Unilad or Viral Hog. Consider where your avatar likes to eat when they dine out. The difference between Maccas and a first class restaurant are worlds apart. More and more restaurants and cafes are coming online and developing pages on Facebook. A great way to find your avatar who likes to eat certain styles of food is to look for the pages, for example, if you decide your avatar likes Italian restaurants in a certain city (especially if your physical footprint is limited), you can find the pages of all the Italian restaurants in a certain location and check out the reviews, who made them, what they said, how they said it. You can find out a lot about a person just from doing this. Understanding things like where they like to shop is important too. Especially if you have an online shop that sells physical products. If your avatar is a spendthrift, regardless of income, then you are more likely to find them at the local opportunity shop than at Saks Fifth Avenue. With more and more people moving to online shopping as a preferred mode of shopping, identifying if your avatar is one of them is critical so you understand their shopping habits and can go where they are to find them. Their spending habits will be of great interest to you. Getting a deep understanding of their spending habits will help you to focus on what you have to offer and what they are willing to spend to get it. It also will help with your marketing, as impulse buyers will react quite differently to certain phrases to those who plan their spending. Consider also what pisses your avatar off. When you think about what annoys them and what makes them angry, consider this. Most people come to us because there is some pain point or points they want to resolve. Being absolutely crystal clear about the detail of what pisses them off gives you the greatest insight into how you will be able to help solve their pain. For example if you are a hypnotherapist or other alternative modality healer and you understand that your avatar is upset by things that happen in the world around them, what’s happening in Government, crime rates and other things they are observing external to themselves, you will have a deeper understanding of their perception about their ability to control what happens in their immediate world. If you understand that your avatar is upset by constant thoughts that loop around and around in their head and feel helpless to change those thoughts, you can be more deeply aligned to that person. People’s preference in political parties, or indeed, if they have none and are apolitical tell you a story about their way of viewing the world. If your avatar has strong views about politics, they are likely to be quite vocal on their timeline, in groups and on pages on Facebook. If your avatar has medium to low feelings and views about politics, they are likely to cause little or no ruckus on topical events and perhaps even try to avoid them completely. When you list their hobbies, interests and what they do for fun, make it as exhaustive as you possibly can. Go deep and actually write a list. Grab a sheet of paper and number it 1 – 30. Now ‘get inside’ of the head of your avatar and write down a list of 30 things that your avatar does for fun, for recreation, what are their hobbies? How do they relax, what is their ‘down time?’ Do more if you can. The deeper you go with this, the better. Remember, Facebook is a social platform, based on interests, the more you can identify what their interests are, the easier it will be to find them. When you have done your list, then grab another sheet of paper, and write the numbers 1 – 50 this time. List 50 of YOUR interests, hobbies and things you like to do for fun. If you do this properly, you will find that when you come to look for your avatar on Facebook, where the interests of your avatar and you intersect is where the magic happens. For example, both my avatar and myself have a strong interest in personal development, in particular, Louise Hay. It’s easy to find pages and groups that have Louise Hay material that people like, comment and share. I find many people to serve in places like these on Facebook. Understanding your avatars buying strategies is essential, whether you are offering a product or a service. Unconsciously, if we walking into a shop and there is music playing we don’t like, we are not inclined to purchase and would generally leave without even consciously thinking about why we left that store. Same online. If we are on a page or in a group or even one on one in messenger, understanding what your avatars buying strategy is will move them closer to you much more quickly. Think about yourself, what are the things you go through before you make a purchase, generally speaking? You might see, hear, smell something that nudges you to purchase a product or service. Think about what you do next, how does that makes you feel? Every person has strategies for all sorts of things, and a buying strategy is just one of them. Your avatar is a single person. However there are many of them. My avatar is a Gen Xer. Check out your Census data and find out what the population is in the generation of your avatar. You will be surprised to find there are many, many of them. Of course you will narrow it down by other criteria, and it’s good to get an idea of the total size of the population of your avatar to start with. Where your avatar lives matters because it will define where you look and how you approach them. Growing up in the country, and then moving to the city, I found that country people have a slightly different perspective on life in general. I know a traveling homeopath who lives in a more populated area. She travels regularly to places in the country where she delivers her services. Her message to country folk is going to be different to her message if she were serving city folk. Why? Because where she had chosen to go, there are no homeopaths and she had to craft her message quite differently to how she would if she were targeting city folk as there are any number of people practicing the same modality in the city. Is your avatar a loner or do they have a few friends or many friends? Are they connected with their friends? The network your avatar has may give you some clues as to how successful they will be in their endeavours. Studies have shown that the more connected you are with your friends and into your community, the happier you are. Your avatar may be needing your service if they are isolated and don’t have a sense of connection with friends and family. Especially if you are a therapist or healer. You will then understand better why they do what they do and be able to craft your message. When I worked in emergency services, I used to compile community profiles for volunteer fire brigades and rescue units who wanted to recruit other volunteers to join their teams. One of the things I used to hear a lot of was ‘there’s no one here to recruit!’. As it was generally a male dominated industry, I would encourage them to consider recruiting females into their brigades and units. I would show them the profiles of their communities and invariably there would be a per cent or two more females than males. What does this have to do with you? If you like logic and fact, you can check out your assumptions about your avatar with your local Census data. If your avatar lives in a wealthy suburb, is a baby boomer who is female and has an annual income of $150k, you can check Census to see how many of your avatar actually exist, again, deepening your awareness and understanding of your avatar. Yours is a very specific alter-ego which does not exclude young males or older females, long-term entrepreneurs or anyone else. We are looking for that one person that we are going to craft a message for that will directly resonate with that person. That person will hear your message and be such a champion for you, your product and service that they will naturally attract others in their circle of influence who don’t meet your alter-ego/avatar specifically. When you are lazer clear on who you are talking to, there are no mixed messages. Consider this: I’m selling homemade chocolate in unique designs, and I can even do chocolate with the features of YOUR face (or your childs face) if you send me a photograph as I have a friend with a 3-D printer who can make the moulds I need relatively cheaply. I put an ‘advertisement’ on my biz page that goes something like this, ‘get your full-features into your gob with this unique and one-off gift idea that will blow your mates away for their birthday with the best-tasting chocolate that is hand made and lovingly crafted just for you’. OR, if your avatar is a babyboomer called Jan who wants a unique gift for their parent/s, children, grandchildren or friend, ‘Imagine your Mum’s delight when you give her a chocolate that looks exactly like her and your Dad on the day they were married for their 50th Wedding anniversary’. Which speaks directly to the needs and desires of one specific person. You will need to use words and phrases that people understand and are using already. An example that comes to mind is when I get inquiries for my hypnotherapy service. People ask me if I can make them run around and act like chickens. On one of my blog posts, I’ve used that term in the title and referred to it in the body of the blog and videos I’ve made to introduce hypnotherapy to the uninitiated. Seems to work well. When you know them and you speak like them, you create connections, develop a sense from them that you understand them, they start to know, trust and like you. It is then you will find people reach out to you and want to know more about what you can do to help them.